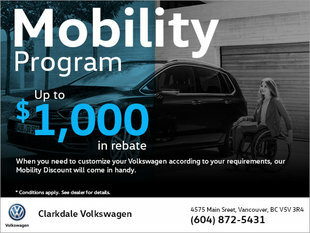 At Clarkdale Volkswagen in Vancouver, we know that to offer an incomparable experience, we have to be able to offer more for your money. 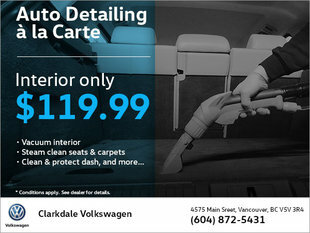 Unparalleled customer service is one thing, but if we can help you save money it's even better. 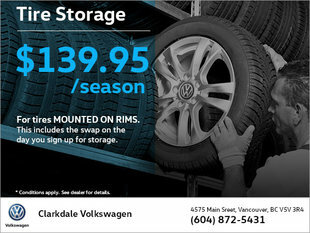 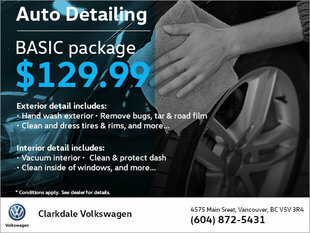 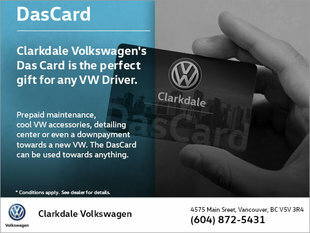 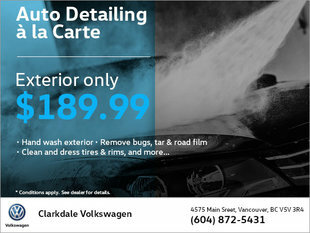 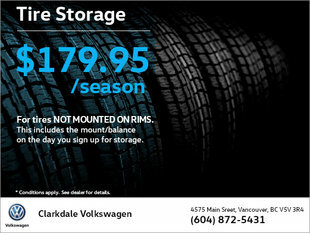 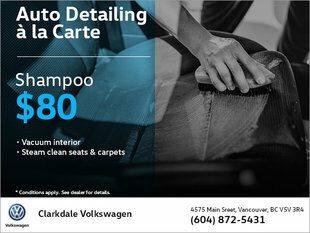 At Clarkdale Volkswagen in Vancouver, you save on all our Volkswagen services and products at all times. 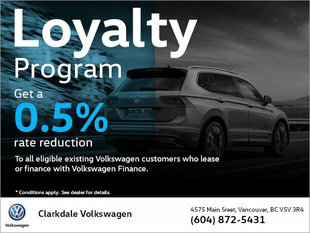 At Clarkdale Volkswagen in Vancouver, you can save money on all our Volkswagen products, services, and vehicles in inventory. 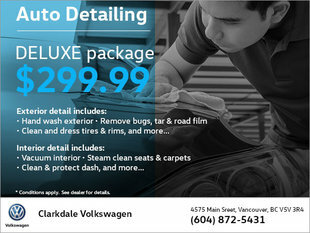 We also have special offers on our maintenance and repair services. 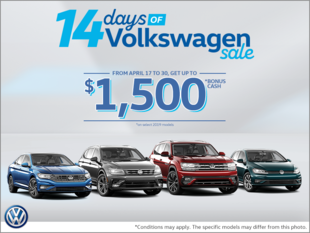 At Clarkdale Volkswagen, it's easy to save, and you'll always feel like you're getting a good deal. 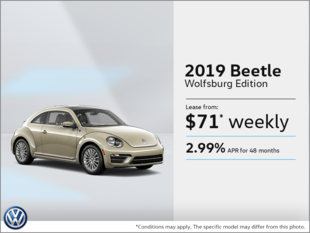 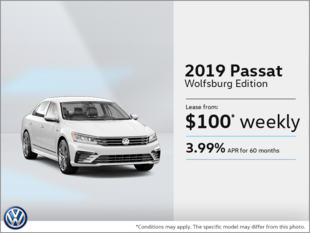 We also have several offers on our new and pre-owned Volkswagen vehicles, as well as attractive and affordable financing and leasing offers. 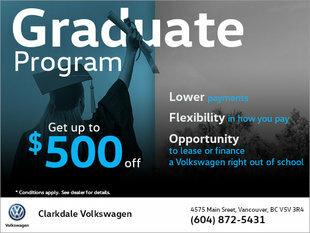 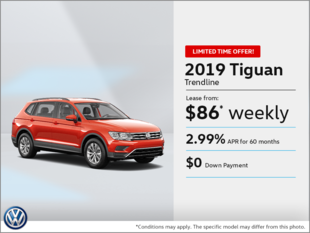 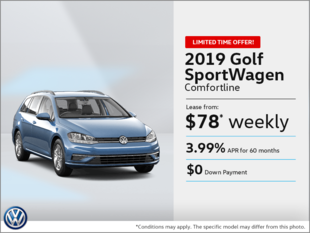 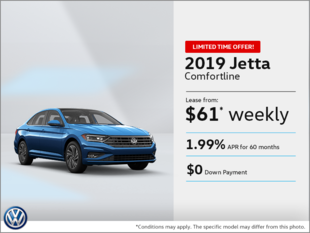 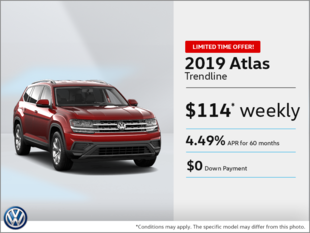 At Clarkdale Volkswagen in Vancouver, it's easy to save money when you buy a new Volkswagen or Volkswagen Certified Pre-Owned vehicle. 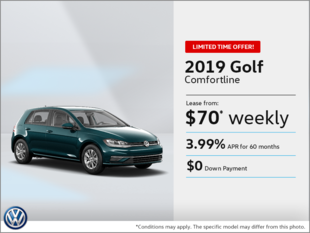 Come discover our special offers today, or come back to this page frequently, as our offers are updated regularly.